Justine is a criminal and regulatory law practitioner who practised full time from Chambers from July 2004 to December 2014. She now practises part-time via a door tenancy, having first undertaken a position at the Law Commission where she led their project reforming the law of misconduct in public office and worked on a project reviewing the criminal records disclosure system, and more recently a position with the Payment Systems Regulator. She sits as a Police Appeals Tribunal chairperson and as a legal advisor to the Nursing and Midwifery Council’s disciplinary panels. As a criminal practitioner Justine has a specialism in fraud, other financial crime and confiscation, as well as dealing with quasi-civil matters arising out of such proceedings. 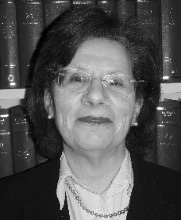 She has previously prosecuted and defended in equal measure in the Crown Court, has appeared in both the Court of Appeal and the Divisional Court and has prepared cases for the House of Lords (Supreme Court). Justine is able to accept Direct Access instructions in appropriate cases. Justine’s particular interest in confiscation and asset forfeiture law, including restraint and enforcement, arose having previously undertaken a secondment in the Asset Forfeiture Division of the Revenue and Customs Prosecution Office (now the CPS Proceeds of Crime Unit). 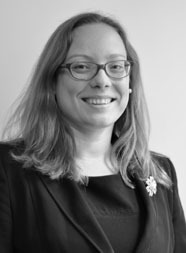 Justine has also been appointed as one of the SFO’s ‘B’ list instructed advocates, instructed by them both as junior counsel and counsel acting alone; was graded level 3 in respect of the CPS list of panel advocates, and appointed to both the CPS Specialist fraud and POCA panels; and has been appointed as a Grade B panel advocate to the Welsh Assembly in respect of Criminal Law matters. Justine has extensive experience in the field of disclosure and has acted as both disclosure counsel and independent review counsel for the purposes of material potentially covered by ‘Legal Professional Privilege’. She is also highly proficient in respect of applications for Public Interest Immunity and for the disclosure of confidential records. Justine additionally has specific experience of prosecuting and defending regulatory offences throughout the criminal courts and has acted both for and against HMRC, DWP, BERR, HSE, the Inland Revenue and various local authorities. She also advised on Judicial Review proceedings. Justine’s regulatory experience was substantially widened when, in January 2013 she was was appointed as a member of the Bar Standards Board and again, in December 2014, she was appointed as a Chairperson of the Police Disciplinary Appeals Tribunal, which reviews decisions reached by police disciplinary misconduct meetings and misconduct hearings. This is a fee-paid judicial appointment. Since November 2016 Justine has sat as a legal advisor to the Nursing and Midwifery Council’s disciplinary panels and is available to sit as a legal advisor for other regulatory bodies. Since October 2017 Justine has been working in the area of Financial Services Regulation, for the Payment Systems Regulator. Sept 1996-Sept 2000: Cardiff Law School (CLAWS), University of Wales Cardiff, Museum Avenue, PO Box 427, Cardiff. Sept 1999-Sept 2000: MPhil Postgraduate Degree: Production a 60,000 word research thesis on ‘The Historical Development of the Criminal Law Concept of Culpability and A System of Criminal Justice’. Sept 1989–June 1996: Jones West Monmouth Comprehensive School; Gwent Tertiary College, Pontypool Campus, Pontypool, Gwent. Aug 2008-Feb 2009: Asset Forfeiture Division, RCPO. 6 month secondment specialising in confiscation and asset forfeiture law. September 2010 – to date: Participant in Practitioner Advocacy Sessions at the College of Law, teaching advocacy to BVC students. January 2008 – to date: Moot Judge at Gray’s Inn. Sept 2001 – 2002 & 1st-31st Mar 2001: Part-time employment as a personal/research assistant to Alun Jones QC, 3 Raymond Buildings, Gray’s Inn, London. Part-time employment as a personal/research assistant to Charles Flint QC and Paul Goulding QC, Blackstone Chambers, Temple, London. 1st Jun -1st Sept 2000: Temporary employment as a research assistant to The Honourable Mr Justice Thomas, presiding judge on the Wales and Chester circuit. Sept- Dec 1999: Part-time tutor in Law: Cardiff University Law School, Museum Avenue, PO Box 427, Cardiff. CF1 1XD. May – Sept 1999: Temporary employment as a Research Assistant: to Professor R.G. Lee and Professor C. Wells: University of Wales Cardiff, Law School, PO Box 427, Museum Avenue, Cardiff. 2016 – speaker at the at the Liverpool University Financial Crime Symposium: past lessons, contemporary challenges, and future solutions. 2016 – author of “The Law Commission’s Consultation Paper on Reforming Misconduct in Public Office” published in Archbold News November 2016 and of “Misconduct in Public Office”, 5 Feb 2016 CLJW 180(5). 1999 & 2000: Presented original research papers at the annual Legal History Symposium of the University of Wales Cardiff and the University of Munster, Germany. Held in Cardiff in 1999 and Munster in 2000. Literature, live music, dancing, yoga, vintage/revival events, Formula One motor racing.